Few of us, even the couch potatoes, have managed to avoid the occasional sprain or strain. In disaster situations where we are exerting ourselves just to stay alive, these will be more common. 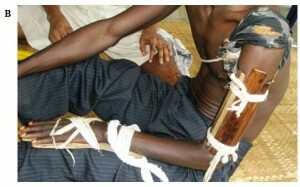 The risk of fractures also looms as a very real possibility in times of civil unrest or wilderness treks. Inflammation of joints due to repetitive stress may be unavoidable, and will be trouble in survival scenarios, where you’ll have to be at 110% efficiency all the time. This article discusses the supplies you’ll want to have in your medical storage to handle these problems. 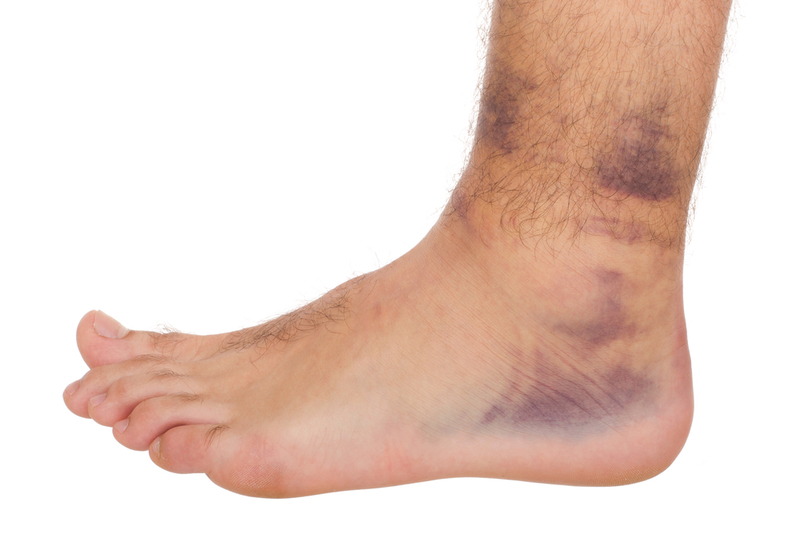 See our other articles for how to treat various orthopedic issues. Cold Packs: These are available commercially or can be made with ice. Cold packs help reduce the swelling often seen in sprains and strains, as well as provide some relief from pain. Elastic Wraps: “Ace” wraps help stabilize an injured joint and decrease the chance of re-injury. Use compression in tandem with cold to decrease pain and swelling. Don’t forget to elevate the injured limb above the level of the heart. Some wraps, like “Coban” or “Sensi-wrap” have adhesive that keep them in place. 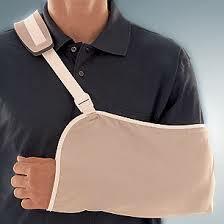 Slings: Simple triangular bandages or improvised bandannas are all well suited to make a sling. Elaborate commercial versions are available, as well. These are useful to stabilize an arm or shoulder injury. The commercial versions usually come with safety pins. 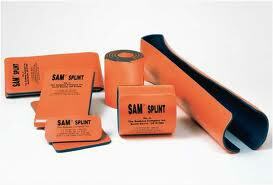 Splints: Commercial “SAM” splints are flexible and can be cut or shaped to immobilize a sprain or fracture. These vary in size to fit anything from a finger bone to a thigh bone. You can improvise with sticks and strips of cloth or even a folded-over pillow and duct tape. Braces: These will be helpful to take pressure off those injured knees, ankles, elbows, wrists, etc. Tape: Medical tape or even duct tape will allow you to splint an injured finger to adjacent ones to form a “buddy splint”. Heat Packs: These won’t reduce swelling much, but can be used during recovery from an injury to help relax and loosen stiff tissues. They also stimulate blood flow to injured areas. Anti-inflammatory medications: Ibuprofen is an over the counter medication to reduce swelling and pain in orthopedic injuries, and can be accumulated in bulk. Other medications comes in patches applied to the injured area. Salicin from the green underbark of willow trees is helpful for pain and, incidentally, the basis for the first aspirins ever made. Arnica salves are useful to decrease bruising, swelling, and pain (use on intact skin only). Various anti-inflammatory medications also come in patches that can be applied to the back or other strained areas. Glucosamine and Chondroitin are useful in good times or bad to help injured joints repair. Although you already have these in your body, supplements help orthopedic injuries to cartilage and general joint degeneration by providing the elements necessary for healing. MSM: Methyl-Sufonyl-Methane sounds awful, but removes toxic substances out of cells and helps prevent pressure build-up, decreasing inflammation. Minerals: Manganese, Copper, Zinc, and other minerals can act as anti-inflammatories and anti-oxidants to help speed healing. Herbs: A number of herbs are helpful to boost the immune system, like licorice, ginseng, echinacea, and many others. Some that target joint inflammation include Chinese skullcap, curcumin, witch hazel, and ginger. With some of these, be aware that results may vary according to the individual. Don’t forget that your hands are a treatment for many orthopedic injuries. Acupressure and massage are time-honored methods to help relieve pain and move recovery along. I’m sure you can think of a number of other items that would make sense for your personal medical kit. Please pass along your tips in the comments section below. Methyl-Sulfonyl-Methane (MSM)I’m sure you can think of some additions to the above list that will make sense for your personal medical kit. 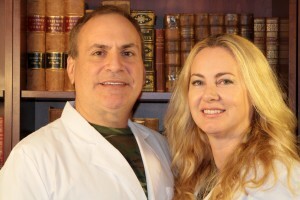 Next time, we’ll discuss what you would need to deal with the bleeding woundJoe Alton, M.D.